Just a brief update on the progress of vintage 2018 at Kings of Kangaroo Ground. It’s been a bit of challenging season weatherwise in the vineyard. Not a blazing hot summer as yet, but several stretches of high humidity have created extra work to keep the mildews at bay. 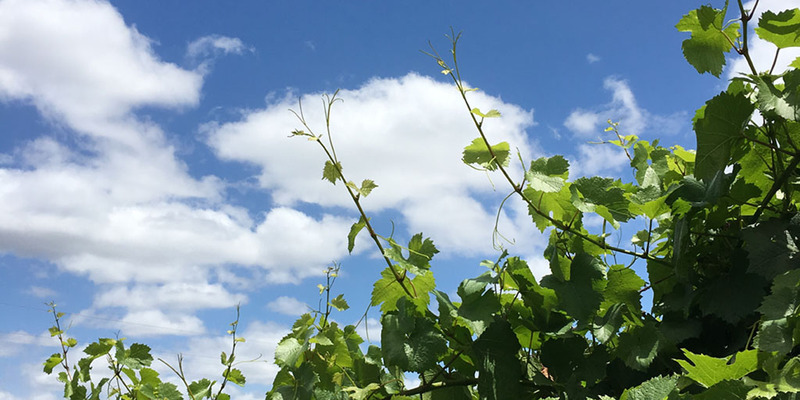 The big dump of rain in mid December was great to keep the vines from getting thirsty, but the downside was a burst of growth that has required additional summer pruning to keep the canopy open and the air circulating down the rows. At this time of year, high humidity around the grape bunches is not desirable. Overall, fruit set for vintage 2018 looks excellent and we are expecting a good crop with harvest expected early to mid March. There is a plan in the wind to create a new wine in our lineup for 2018 … what could that be, stay tuned for further details !